1.) 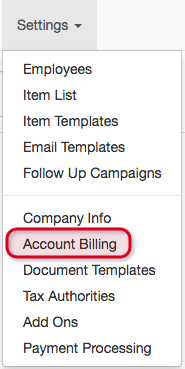 In the top menu, click Settings > Account Billing. 2.) 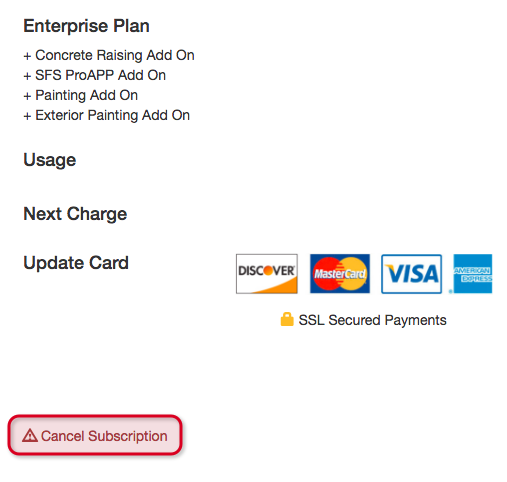 Click Cancel Subscription in the lower left corner of the Account Billing screen. 3.) You'll see a warning stating that you'll no longer be able to access your data after canceling your subscription. If you'd still like to cancel, click OK. 4.) After canceling your account, you'll receive a cancelation confirmation email from our team. If you decide you'd like to give Estimate Rocket another try, just log back in at estimaterocket.com and update your information, or send us an email at support@estimaterocket.com!